Looking for Buffalo Newborn Photographers can be overwhelming and confusing, so we have put together this page to help you determine if we would be a great fit for your newborn portrait session. Jennifer offers formal posed in-studio newborn portraits, on-location (in your home) lifestyle newborn portraits and professional Fresh 48 (hospital sessions. Jennifer offers custom Buffalo baby photography servicing all of WNY. If you would like to come to our studio, our studio is centrally located from all directions, we are 10 minutes from downtown Buffalo, 17 Minutes from Amherst and 16 minutes from Orchard Park, the location of our studio was put in place to accommodate all our clients as equally as possible as we have a large clientele in the Northtowns, Southtowns as well as the City. To learn more about what Jennifer does, what to expect and see some of our featured sessions, please continue below. You are expecting your new bundle of joy one soon, this is such an exciting time. I have a little myself and I remember how much joy my pregnancy was and could not wait to meet her. An amazing gift you can give yourself and your baby is the art of custom newborn portraits. These freeze time, and you will have these timeless precious images forever. Newborns only stay little for such a short period, do not miss out on capturing this special time. In-Studio Newborn Portrait Sessions (most popular) – During the first 14 days of life you will come to our studio, we have an array of unique real wood backdrops, tons of backdrops, props, headpieces, wraps, blankets. Studio sessions are perfect so you do not have to worry about prepping your home for the session and there is less time involved. When you arrive I am already set up and ready to go. In Your Home Newborn Portrait Sessions (Non-Lifestyle) – These sessions are perfect for parents who love the look of studio sessions but would like the session to take place in the comfort of their own home and do not want to worry about driving to a studio. These sessions take place in your home with an arrival at 7:00 am on Sunday mornings. There is some prepping for you but not much. There is an 0n-location fee for these sessions as our SUV will be packed from front to back and there is quite a bit of set up and break down time required for these as we are bringing our studio to you. Lifestyle Newborn Portrait Sessions – These sessions take place in the comfort in your own home and are very casual. These are perfect for parents who love the look of showcasing the newborn in their homes natural environment. These sessions take place in your home with an arrival at 9:30 am during the week. There is some prepping for the session, but not much. There is no 0n-location fee for these sessions. Fresh 48 – Fresh 48 sessions have become more and more popular. Fresh 48 sessions are hospital sessions that take place during the first 48 hours of life in the hospital. These sessions are wonderful because they capture life outside the womb during your newborn babies first two days of life. We offer these sessions as an add on to your newborn session or as a stand alone. Athletes & Celebrity – We do maternity and newborn sessions for a ton of local athletes and celebrities who seek discretion. We offer special contracts for our celebrity clientele and will not post any images to social media. The last thing you need is a local photographer posting images all over Facebook and Instagram announcing you are expecting and then posting pictures of your child. We understand you are in the public eye and fans can be unpredictable so we take these privacy measures very seriously. I can do your maternity session outdoors at my home if you would like outdoor images but still want privacy, my home location which boasts 10 acres that are totally secluded. If you choose a location that is public we will do our best to make sure no one is taking pictures during the session – I bring an assistant to specifically watch for this. At times, people can follow us around and I have no control over that. When contacting me about your session, make sure to let me know you need the celebrity contract and I will forward it to you. 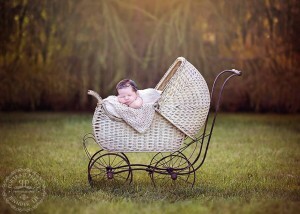 Sophia’s session was amazing, I just love capturing at least one newborn portrait scene outside. We did family portraits outside as well as formal studio poses in-studio. It was fall so the colors in the outdoor images are just amazing. Our studio is located among a 10 acre park like setting, so it is easy for us to just head outside for an outdoor scene and Sophia’s came out just amazing. Gabriel was sooo sweet and calm for his photo shoot, his session went smoothly and we breezed right through it. Mom was so prepared which always helps a ton. Gabriel’s session was earthy with all neutral tones with some hints of color. I just love everything Mom picked out from the cute hats and bonnets to the little outfits. The session was held at my studio location located in the Southtowns. I also have a video for some of the sessions highlights, enjoy. From the begining of this newborn session I knew it was going to go smoothly. She was so calm and easily soothed and that helps move things along. We were able to get all the poses plus parent shots and always the infamous froggie pose (as scene here) This was a composite so we took 2 images to make this one while baby is being supported. We always strive for newborn safety. This little guy was so much fun to work with for his prop scenes. They were creative and fun. I love anything baseball with newborn boys and Daddy is a Yankees fan so we did blue hues with wood and tons of baseballs. Another prop themed scene was fishing. It was so adorable and cute. I have a feeling this little guy will be fishing and playing baseball when he is older. Newborn Safety – Safety of your newborn is the utmost important to us. We never force a pose and we do not do any poses that are dangerous to your newborn. For example you see a lot of hanging props in our portfolio – they are all composites. Your newborn is never there hanging on anything. I pose your newborn safely (not hanging) in the prop and merge the image with the prop hanging (without the newborn) later. We also do the head in hands (froggie pose) as a composite as well to ensure your newborn is always safe. By now you have probably decided wether you would like an in-studio session or a session in our home. What is next? Check out our featured sessions. Now is the time to book your session. Booking is very simple. You can fill out the contact tab at the top right hand side of the page or you can reserve your session by going here to leave a session deposit. From there we will be in touch asap. What happens after booking? We schedule your maternity session if you wanted to have a maternity session. Once you have your baby, you will need to follow a few of our guides. Click here for our Prepping for your newborn session and what to expect. You will learn everything you need to from how to prepare to what to expect at your session. We are Buffalo NY Newborn Photographers specializing in Newborn, Child, Family and Senior Portrait Photographer serving all of WNY. Book Your Newborn Session With Us Today! We also do Baby Announcement Photos in our studio or at a location in WNY. Baby Photography is what I create. I am one of the Baby Photographers listed in this directory of the top baby photographers in the world. Effie L. - Buffalo’s finest photographer indeed! everything from your studio to your property!